ATO forces had to return fire 11 times. 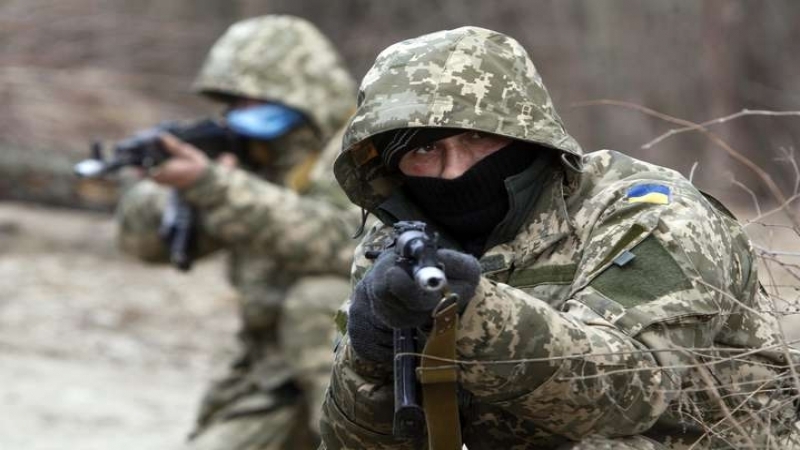 Over the past 24 hours on 27 July militants have violated the ceasefire 17 times, shelling the positions Armed Forces of Ukraine (AFU) in the ATO (Antiterrorist Operation) zone, the headquarters of the ATO press center reported on Facebook. As a result of the shelling, one Ukrainian military man was wounded. ATO forces had to return fire 11 times. Large-caliber machine guns of militants worked near Vodiane and Marinka villages in the Mariupol direction. Terrorists fired Ukrainian fortifications from the small arms in the Zolote and Stanytsia Luhanska on the Luhansk direction. Separatists shelled Novozvanivka from the infantry fighting vehicle. Militants twice shelled the positions of the ATO forces from grenade dispenser and small arms in the Avdiivka area in the Donetsk direction in the evening. Militants also activated intelligence activities, according to the ATO headquarters. AFU militaries recorded four drones of militants during the past day. On 27 July, about 3 a.m. Ukrainian militaries found with the help of a thermal camera a reconnaissance group of terrorists studying the positions of the ATO forces near Mykolaivka village. The militants withdrew after the warning fire. Earlier QHA reported that the Russian Federation had sent the 67th convoy with "humanitarian aid" to the occupied Donbas. The Russian Emergency Ministry claims that trucks carry more than 600 tons of "humanitarian aid". According to the Russian Emercom, trucks transported baby food, building materials, medicines, literature for the new school year. Russia sent to Donbas another convoy with "humanitarian aid"